A beautiful Square motif is surrounded with round diamonds in this key pendant. A symbol of locked love secrets. 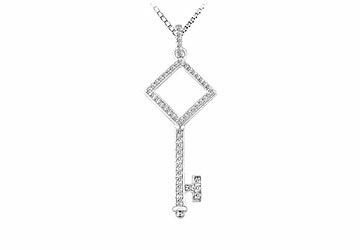 Made in 14K white gold this key pendant has a total weight (TDW) of 0.33 carat.